Balloon Review 082 - Speedy the Hedgehog by Matt Falloon. 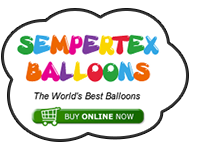 Available from http://www.balloon-animals.com/catalog/ ... ucts_id=63 price $10 as a instant download. This is the first video download release from Matt Falloon and my goodness what a tough one! 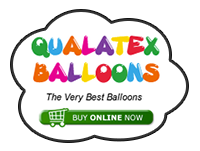 As with all the balloon-animal.com releases the video download process is quick and easy and the video quality is excellent. Matt is an excellent teacher. He explains the design extremely well which is a good job as this one is a killer. Only purchase this download if you are an advanced twister. You will need to put sidewall bubbles in 321Q as well as join many heart lobes to make this intricate design. As you can see my first effort is fairly good but not as great as Matt's original. My first attempt took around 90 mins to make! I got really frustrated positioning the balloon that goes across the top of the eyes. It is so difficult to hold it in position and to shape it correctly without making the eyes bulge out too much. I really enjoyed making this one as it is very challenging but I am unlikely to make this one very often. If you enjoy a challenge it is well worth a look.